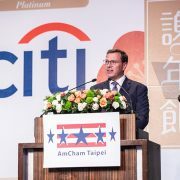 Over breakfast at the Grand Hyatt Taipei on June 13, members of the AmCham Taipei leadership met with Assistant Secretary of State for Educational & Cultural Affairs Marie Royce and other U.S. dignitaries who were in Taiwan for the dedication ceremony of the American Institute in Taiwan (AIT) office complex. 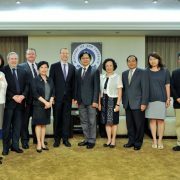 Besides Assistant Secretary Royce, the visitors included Caroline Casagrande, Special Advisor to the State Department’s Bureau of Educational and Cultural Affairs; Washington-based AIT Chairman James Moriarty; AIT Washington Managing Director John Norris; and State Department Bureau of East Asian and Pacific Affairs Office of Taiwan Coordination Director Jim Heller. 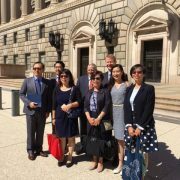 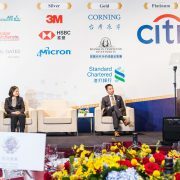 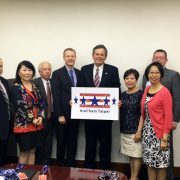 From AIT in Taipei, Economic Chief Jeff Horwitz and Deputy Economic Chief Mike Pignatello also attended. 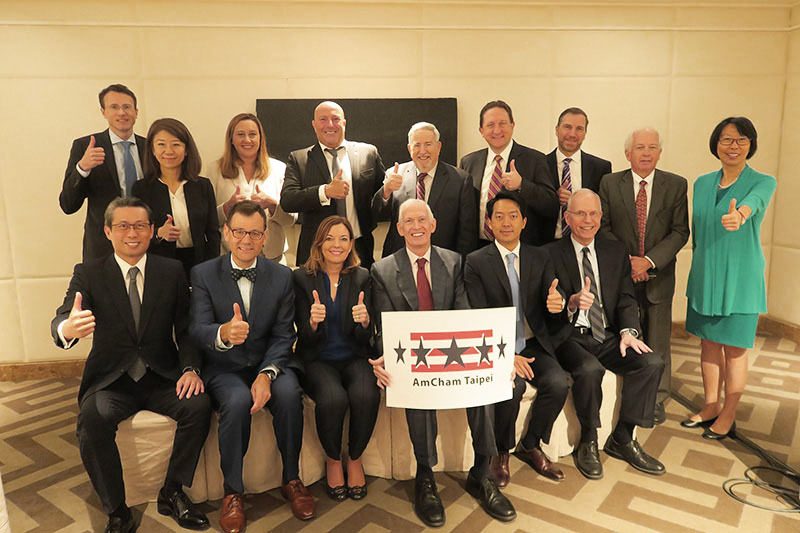 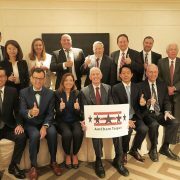 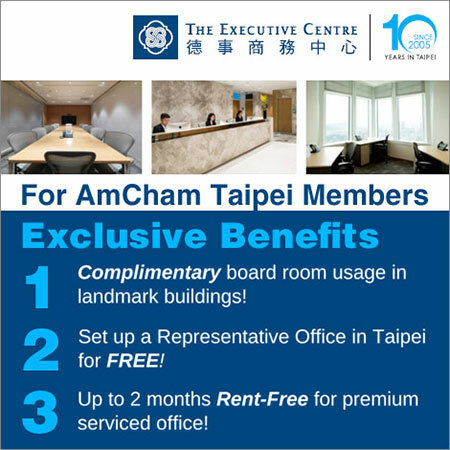 The group was welcomed by AmCham Taipei Chairman Albert Chang; AmCham President William Foreman; Former AmCham Chairman Thomas H. McGowan; AmCham Board members Joyce Lee, Tim Shields, and Daniel Tseng; AmCham Senior Director Don Shapiro; and AmCham Senior Director of Government and Public Affairs Amy Chang. 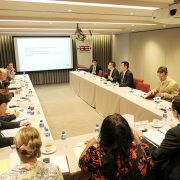 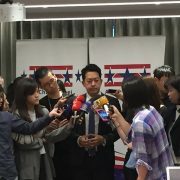 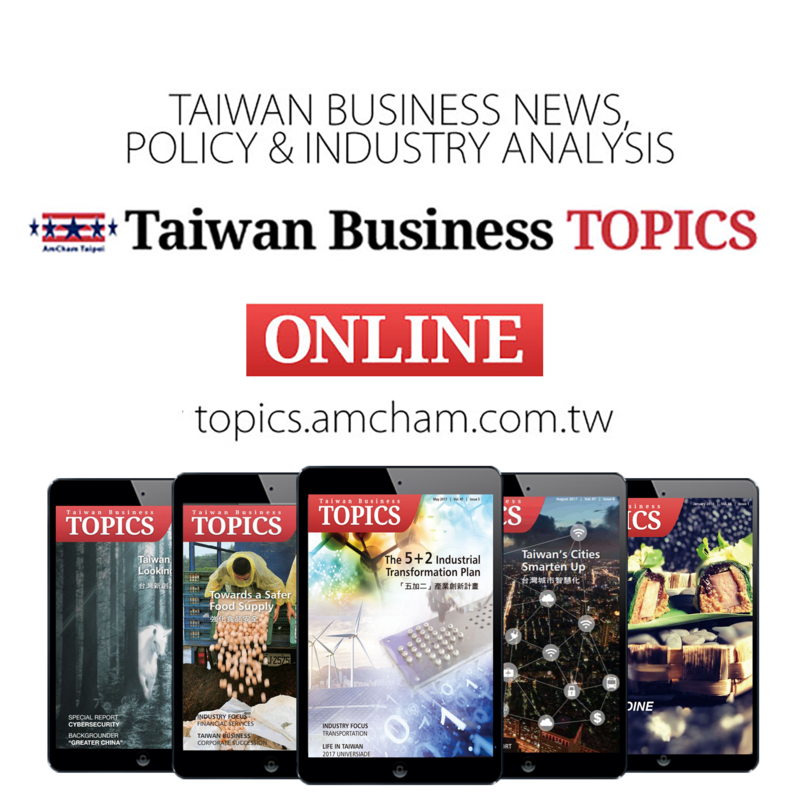 The breakfast discussion centered around the recent progress in AmCham’s White Paper issues, as well as opportunities for expanding educational and cultural exchanges between Taiwan and the United States.